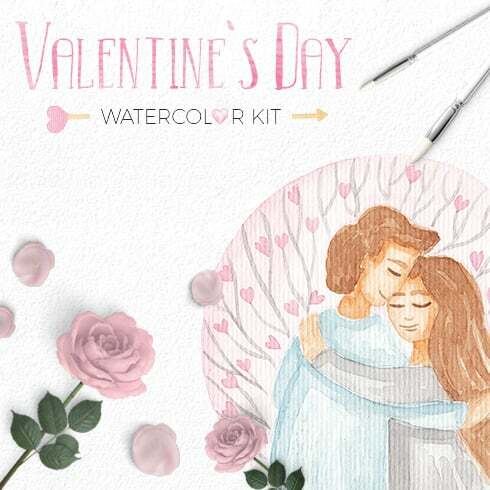 This set consist of high quality hand drawn watercolor valentine’s day illustrations + vector floral elements and wreaths as a bonus. Perfect graphic for DIY, wedding invitations, greeting cards, quotes, blogs, posters, romantic cards, postcards, book or notebook covers, and more. If you’re a designer taking care of numerous projects concurrently, you comprehend the need for the entire pack of design elements available at hand. Trying to find those elements one at a time, you may spend whole lot more cash and time consequently. To get all of the desired components within a single package, we recommend trying graphic packages. A bundle can be described as a assortment of components required for graphic design, valued for a large amount of money, however sold at a substantially reduced price tag for a very limited time. How could you save money on bundle deals? Are you looking for a 5% price cut on any selection from MasterBundles? All you have to do is simply share the web page with a package on social websites (Facebook). For any design project, you will require a lot of elements – some icons, a font, a handful of photos, and so forth. If you would want to shop for every one of them on an individual basis it will cost you a fortune! And so, that’s why skilled graphic designers look for graphic bundles to purchase. The collections of components gathered into a graphics package deal are generally sorted in accordance with their purpose or kind. There will probably be deals with infographics, wedding invitation templates, business card templates and icons, etc. You will likely manage to find graphic packages specifically for Halloween, Christmas, Halloween or Christmas. The bundles of stock photos, fonts and logo templates are readily available for your use. They deliver almost endless possibilities for the design of various projects. Additionally, you’ll find bundles of WordPress themes, courses and ebooks, cv templates, presentations, and various other components. 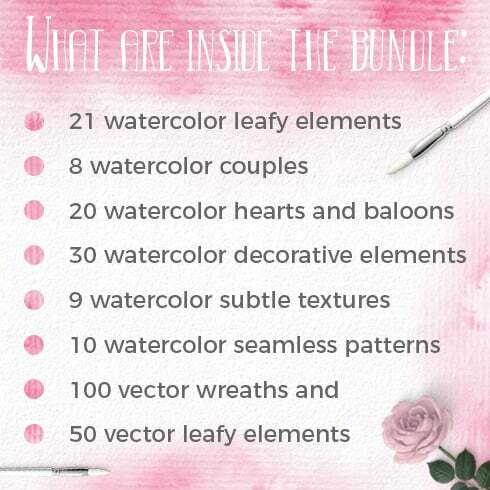 Define a watercolor graphics bundle? The watercolor package is found to be the prettiest development in design. Hand crafted by painters on the a piece of paper, the images become digitized and included in a bundle as design templates for projects. Watercolor elements are just great for DIY, wedding invitations, greeting cards, quotes, blogs and posters. If you feel as if you have lost loads of time while searching for various tools and elements for your own graphic design jobs, it is high time to explore MasterBundles. This is a platform providing the most popular tools (icons, graphics, watercolors, logos, presentations, fonts etc.) for web designers, marketers, and developers at a reasonable cost for a limited time. On top of that, you may use coupon codes and promo codes for specific design deals. In order to not miss important info regarding the upcoming promotions, we advise reading our blog and signing up for the email newsletter.